Monster Park - AR Dino World is a new augmented reality game that allows you to observe and rule incredibly lifelike dinosaurs and other horrible creatures with your device’s camera. Take a look at monsters in real size, bring them into your world, walk together, take cool photos and record videos to wow your friends. 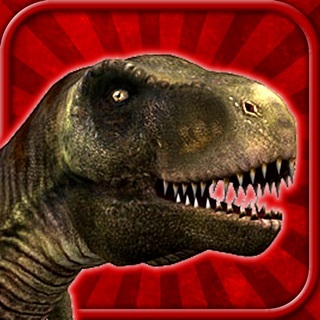 With Monster Park - AR Dino Word enormous dinosaurs and other horrible monsters drop into the real world. 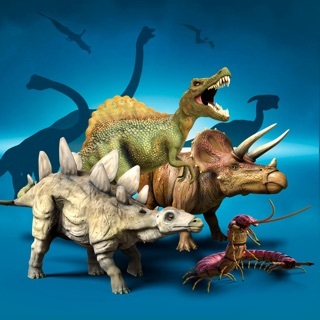 While interacting with the prehistoric creatures, not only will you be able to see them as big as they were in real life, but also to direct and control their movements. Tame your monster, make it follow you, move the direction you like or fall down for a while. Be sure to open a portal and explore the incredible world with its wonderful waterfall and awe-inspiring nature. Play Monster Park with family and friends! Multiple users can interact with each other in the augmented reality world. The app offers a multi-user AR experience for two or more devices. Enjoy out-of-this-world experience together - rule dinosaurs, place the scene, enter the portal and discover the amazing dino park using different devices at the same time. Make funny videos with monsters or create stunning photos, save them to the camera roll or share with friends. How to rule the monster? You can place the monster on any flat surface and scale it to be any size. Simply tap anywhere on the display to direct your monster exactly at that point. Hit the monster several times and see what will happen! ◆ Funny photos and videos to wow your loved ones or play a trick on them. ◆ Placing a portal to the parallel universe. ◆ Control over the monster's movements - make it take the direction you like or just move freely. ◆ Сhanging the size of the monster. **The multiplayer game mode requires iOS 12. So, are you ready to let monsters into your world? 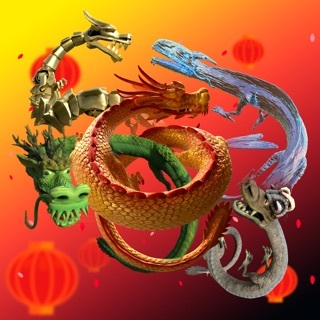 Chinese New Year in Monster Park! •As always, minor bug fixes and performance improvements to make your augmented reality experience even better. please improve the camera recording quality. very poor frame rates and lacks video stabilization. How can i get the halloween monsters.? This is to ensure you that your app is amazing but what features it provides, like the camera recording is not at its best quality please improve the quality and video stabilization. Thank you for taking the time to write a review. Monster Park offers additional content as in-app purchase, the app description page clearly states that. The additional content is optional so you can enjoy the T-Rex. Have a nice day. Raptor, Triceratops, Scolopendra, et al.